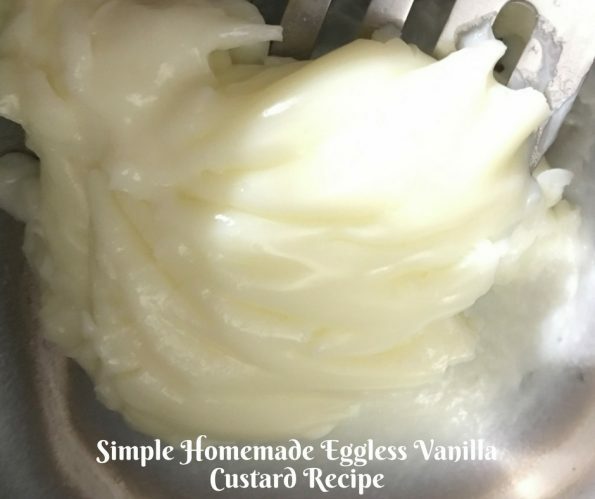 This egg free custard recipe or this easy homemade eggless vanilla custard using cornstarch is a very simple and basic egg free vanilla custard recipe which you can quickly prepare in few minutes. Good quality cornstarch is what you need to make this eggless vanilla custard which will help you to make this simple, easy and delicious custard without eggs. You may adjust the sweetness as you wish and you can easily use this vanilla custard as a base for egg free desserts which needs custard as one of the ingredients. This egg free vanilla custard is very simple yet a very delicious dessert on its own when chilled and served. If you like eggless vanilla desserts, try this delicious fluffly vanilla cake recipe which is also a very easy and delicious egg free dessert you can easily make. You can use this easy eggless vanilla custard recipe using cornstarch to make base for homemade desserts like homemade vanilla ice cream, puddings etc. So here is how you can make eggless vanilla custard using cornstarch following this simple and easy egg free custard recipe from scratch. 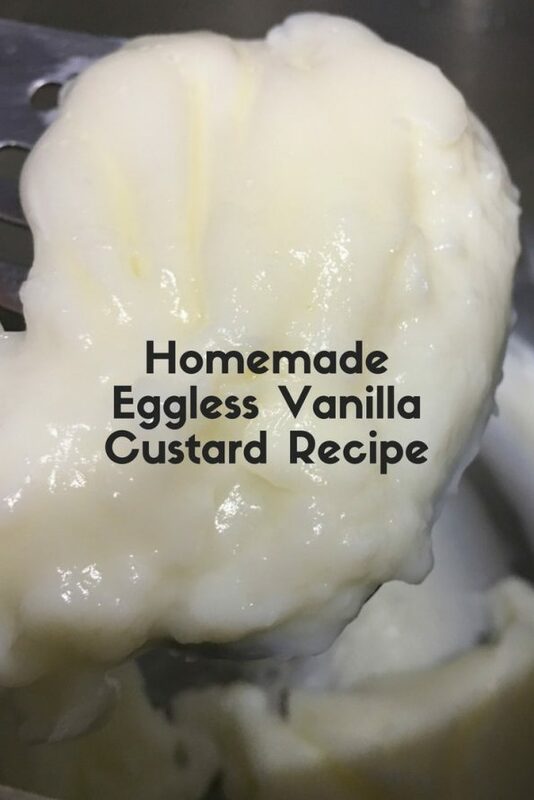 This egg free custard recipe using cornstarch gives you a smooth and delicious eggless vanilla custard which is so simple to prepare and can be enjoyed as a quick and easy dessert on its own or use this custard as a base for homemade egg free desserts like ice creams or puddings. In a bowl, mix together the cornstarch and few spoons of whole milk until well mixed without any lumps. Add the remaining milk to a saucepan, add the cornstarch mixture and add sugar and vanilla extract, mix well. Heat in medium heat, stirring constantly, until the mixture starts to thicken. Switch off the stove as the mixture thickens, transfer from the hot stove and allow the mixture to cool down. The egg free vanilla custard using cornstarch is ready which can be used as a base for puddings or ice creams or similar desserts. 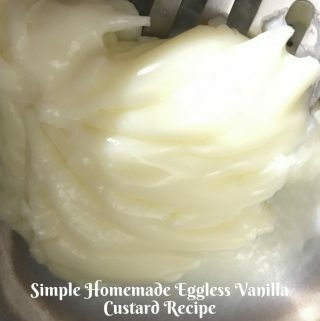 Hope you found this post on homemade egg free custard recipe or basic eggless vanilla custard using cornstarch helpful in making easy and yummy egg free vanilla custard.